Mark Chitwood Photography: A Great New Book! 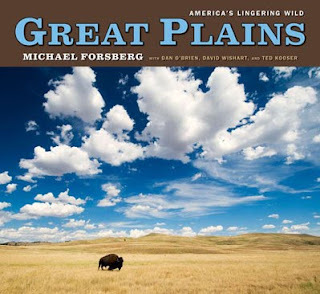 Michael Forsberg has a new book out and it is fantastic. I went and heard him at UNO tonight. Dr. Ted Kooser and Dan O'Brien were there as well. This book is about where I live. I grew up dreaming of the wild wild west. My grandma came out on a covered wagon and lived in a sod house. Forsberg is a tremendous talent with a camera and with words. It just overflows from his life. We happened to go to the same high school - Lincoln East. That is my claim to fame.